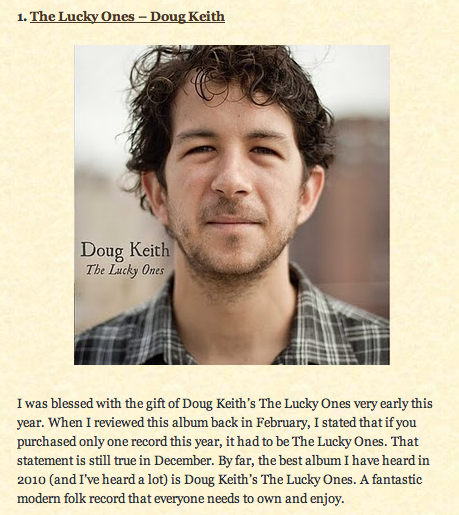 We are happy to announce that The Rock and Roll Guru in NYC picked Doug Keith’s record, The Lucky Ones, as their number one record of the year for 2010! You can see their whole list and what they had to say about The Lucky Ones HERE!!! Thanks so much Rock and Roll Guru!! !